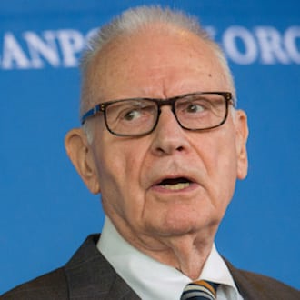 Lee Hamilton is a member of the Board of Advisors of ASG. Mr. Hamilton is also the Director of The Center on Congress at Indiana University. Most recently, he served as President and Director of the Woodrow Wilson International Center for Scholars. Previously, Mr. Hamilton served for 34 years in the U.S. Congress representing Indiana’s ninth district where he chaired multiple committees including the House Committee on Foreign Affairs, the Permanent Select Committee on Intelligence and the Select Committee to Investigate Covert Arms Transactions with Iran. After retiring from Congress, Mr. Hamilton served as Vice-Chair of the National Commission on Terrorist Attacks on the United States, known as the 9/11 Commission. He has also served as a Commissioner on the influential U.S. Commission on National Security in the 21st Century (the Hart-Rudman Commission), and was Co-Chair with former Senator Howard Baker of the Baker-Hamilton Commission to Investigate Certain Security Issues at Los Alamos. His current roles also include: Co-Chair of the National Security Preparedness Group with Tom Kean; Co-Chair of the National Advisory Committee to the Campaign for the Civic Mission of Schools with Sandra Day O’Connor; and Co-Chair of the Department of Energy Blue Ribbon Commission on America’s Nuclear Future with Brent Scowcroft. He also and serves on the President’s Intelligence Advisory Board, the FBI Directors Advisory Board, the U.S. Department of Homeland Security Task Force on Preventing the Entry of Weapons of Mass Effect on American Soil, and the CIA External Advisory Board. Mr. Hamilton is the Author and Co- Author of several books, and of The Iraq Study Group Report.